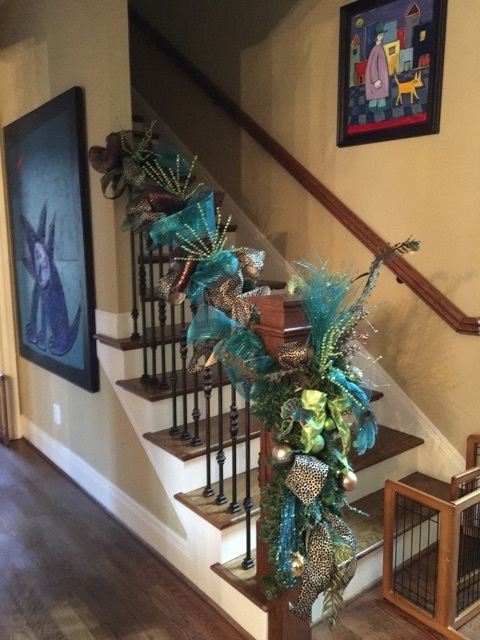 When I thought about our holiday décor for 2015, I wanted to create a unique, personal statement of what the holidays mean to us at Wolford Built Homes. I thought of integrity and spirituality…the true meaning of the holidays to ALL of us, regardless of our religion. And I wanted to reflect what we as a company and our team members as individuals strive for on a daily basis. Like many small business owners, Wolford is enjoying the improvement in the economy and has become a stronger more diversified company as a result of a few difficult years. I thought the Phoenix would be apropos, but there are NO decorations reflecting this symbol of rebirth so I turned my attention to the peacock. The peacock is a possessor of some of the most admired human characteristics, and is a symbol of integrity and the beauty we can achieve when we endeavor to show our true colors. I thought this was a great theme so I took it a step further and looked into the meaning of various colors. Blue is associated with open spaces, imagination, and inspiration. Purple has long been known as the color of royalty, so I decided to bring a regal touch to my holiday decor by mixing it with gold and an unusual pop of blue! Use large metallic balls hung from light fixtures with generous amounts of wired edge spiral ribbon- metallic mesh, sequined and patterned. Mix it up! 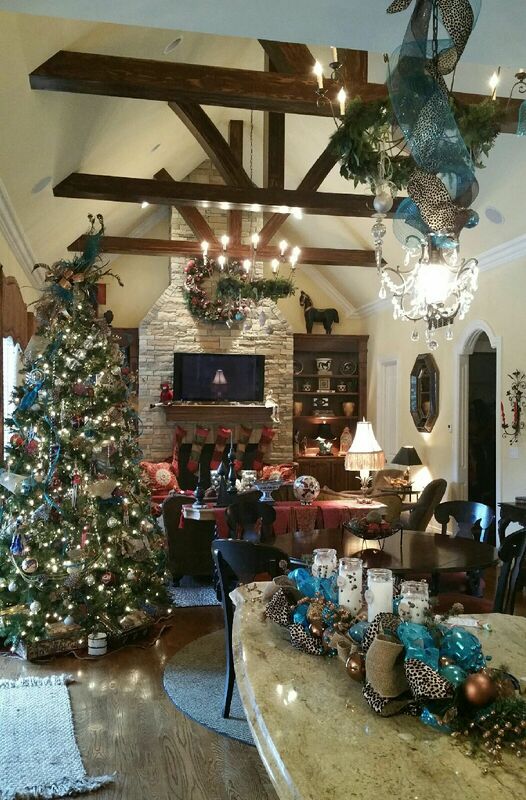 Decorations don’t have to be themed or match…just festive! We have taken traditional reds and golds and have mixed in leopard print, peacocks, classical mixed with mod, old mixed with new. Go Big or Go Home. Oversized bows, dramatic doorways, a magical mixture of sizes and shapes. This look is not for the timid. Bigger is better. Mosaic disco balls. Need I say more? 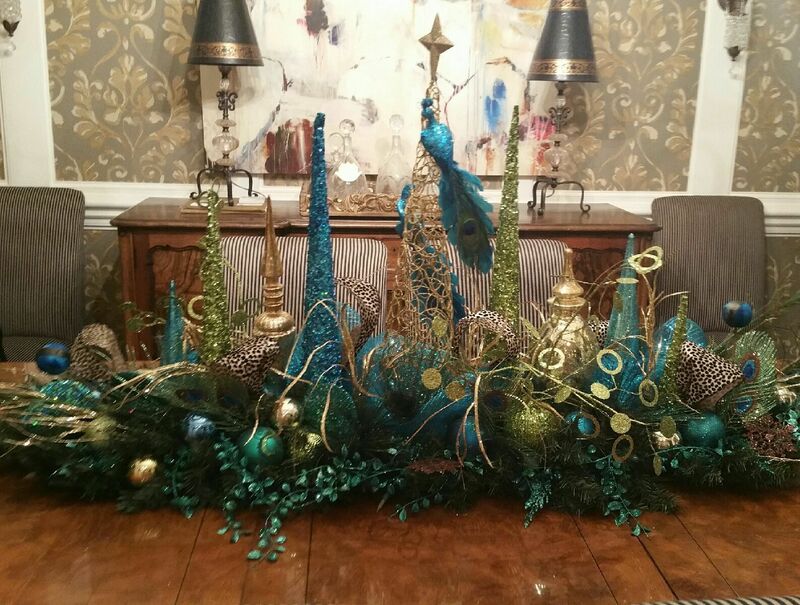 We found ours at Hobby Lobby…in the perfect shade of teal…. Light it up! Tasteful clear lights mixed in the holiday trees and garland are a holiday must. But adding decorations to existing lights, chandeliers and sconces are an easy way to make your own beautiful light fixtures work double time. And don’t forget the spotlights on the exterior to let Santa know you have indeed rolled out the red carpet for him…or in this case purple, lime, turquoise and teal! 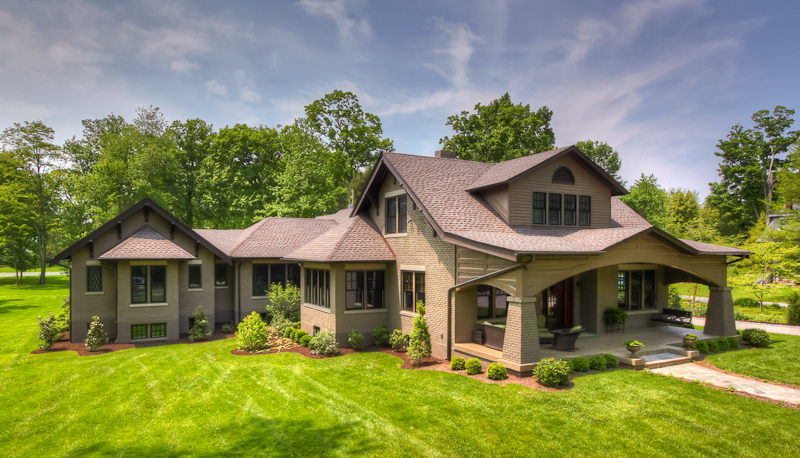 We are experiencing a rebirth at Wolford Built Homes. We have doubled the size of our team and have been blessed with some exciting projects. We have ventured into a variety of market segments and are already in the design stage for some beautiful homes to be built in 2016. 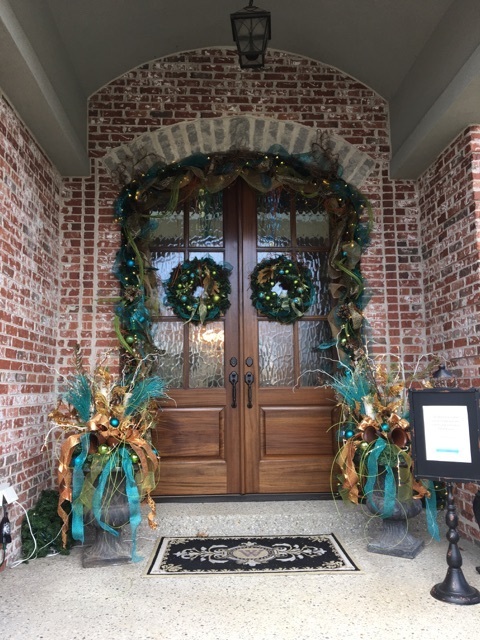 Yes, the Phoenix would have made a great theme for our holiday décor and we are truly grateful for our clients and deeply humbled by our many blessings. But, then again we are proud as peacocks about the projects completed in 2015 and look forward to an exciting year ahead! When it comes to building materials, it doesn’t get any more basic than brick. Small (mostly), modular and generally cost effective, brick has been around for thousands of years and has been a building material of choice from ancient Sumeria to modern America. Available in a range of sizes, shapes, colors and textures, brick can provide high style or a common touch. It can dress walls, floors and ceilings. It can be left just as it came out of the kiln or finished onsite with paint or another treatment. It can be laid with wide or thin jointing, arranged in a variety of patterns and used to create three-dimensional effects. Celebrate the brick’s irregularity. Even simple, common brick takes on an elegance and richness when left exposed. Color, texture, patina and craft combine to create a perfect complement for an interesting fireplace. Use brick authentically. Celebrate the permanence and weight of brick by using it all around. Although it costs more, turning the corner with brick lends a sense of caring and quality that brick veneered only to the front can’t achieve. Consider arches, corner quoins and other details that celebrate the long and rich history of brick construction. Use brick decoratively. Brick comes in any color and size imaginable. So vary the color, size, placement and location when laying a brick wall. Also consider changes to the mortar joints. 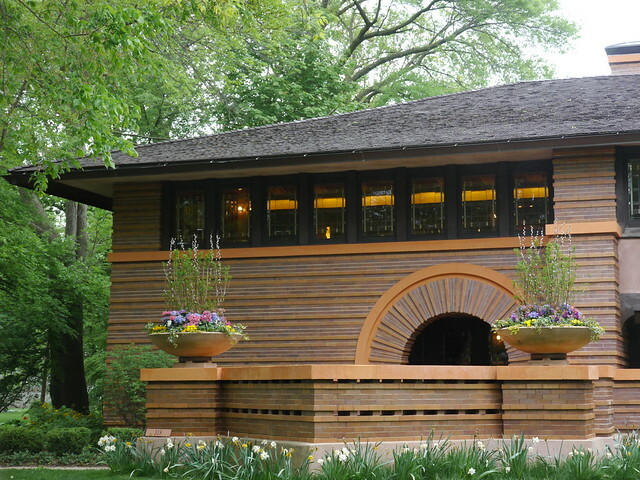 By changing colors at different courses and by deeply raking the horizontal joints while filling the vertical joints flush, Frank Lloyd Wright achieved amazing visual effects. Add a little detail. It doesn’t take much to go from boring, bland and severe to interesting and relaxed. It could be as simple as the addition of a horizontal shadow line every few courses. You also could add detail with a pattern of diamonds across one part of the facade, using brick to create shadow and texture in an easy and inexpensive way. Use brick to warm and cool a home. With its mass, brick is a natural heat sink. During the day, brick will absorb the sun’s radiation and retain it as heat. During the night, when temperatures are cooler, brick will give off this heat, keeping the interior cooler in summer and warmer in winter. This natural ability, combined with deep verandas, kept many old Southern homes quite comfortable throughout the year. Many thanks to Houzz for great ideas! !